Rate this project The OpenMandriva distribution is a full-featured Linux desktop and server, sponsored by the OpenMandriva Association. The project has published a new development snapshot, OpenMandriva 4.0 Beta, which offers several improvements and package upgrades. "Our first release in 2019 is OpenMandriva Lx 4.0 Beta, a close preview of the upcoming final release. Since Alpha1, OMLx 4.0 got a huge number of fixes and improvements. You may already be aware of some of them having read OpenMandriva Lx 4.0 Alpha1 follow-up, some more came afterwards. Live mode: ISO menu new entries for language and keyboard preference. Upon user's request, KPatience card games have been included in ISO (live mode only). Calamares new features: Easy swap partition option; Calamares log copied to successfully installed system; Automagically removing all unused languages at the end of installation; Calamares now checks whether system is installed in VirtualBox or in real hardware. If in real hardware it removes unneeded VirtualBox packages." Further details can be found in the distribution's release announcement and release notes. Download (MD5): OpenMandrivaLx.4.0-beta-plasma.x86_64.iso (2,041MB, torrent, pkglist). Rate this project Cristina Sgubbi has announced the availability of the first development build of the upcoming OpenMandriva Lx 4.0. The new version brings a change in the package management department (a switch to RPM 4 and dnf) and the distribution is now compiled with Clang 7.0: "Today we are proud to introduce you to the OpenMandriva Lx 4.0 major release alpha 1. Big changes have happened - we switched to RPM 4 and dnf as the software package manager. We have had massive updates in the core system and rebuilt everything with Clang 7.0, giving you a significant speed increase. OMLx 4.0 now includes complete ports to AArch64 and ARMv7hnl platforms and has started a port to RISC-V. We have also built a version specifically for current AMD processors (Ryzen, ThreadRipper, EPYC) that outperforms the generic version by taking advantage of new features in those processors. Main features: KDE Plasma 5.14.4, KDE Frameworks 5.53.0 and KDE Applications 18.11.90...." See the release announcement and release notes for more details. Download (MD5): OpenMandrivaLx.4.0-alpha1-plasma.x86_64.iso (2,340MB, MD5, torrent, pkglist). A special "znver1" build optimised for the current range of AMD processors is also available: OpenMandrivaLx.4.0-alpha1-plasma.znver1.iso (2,441MB, MD5). The builds for the AArch64 and ARMv7 architectures were not yet ready at the time of writing. Rate this project The OpenMandriva project is a fork of the Mandriva family of Linux distributions. The project's latest release, OpenMandriva Lx 3.02, features a number of package updates, including the Plasma 5.9.5 desktop environment, Wayland 1.12.0, systemd 233 and version 4.11 of the Linux kernel. OpenMandriva's kernel uses the BFQ scheduler for improved desktop performance. The project's release announcement declares: "The distribution ISO is bootable in BIOS or UEFI from USB stick or DVD and uses the Calamares installer to guide you through installation with the minimum of effort. The ISO also offers a means of booting EFI partitions should they become inaccessible because of boot order changes. This distribution has been successfully installed and run on a dual-graphics chip notebook using Bumblebee. A working i586 image is available however this will only install on genuine i686 boxes. If your machine is 64-bit please use the relevant 64-bit image. Main features in this release: KDE - Frameworks 5.33.0, Plasma 5.9.5, Applications 17.04, Qt 5.8.0; display subsystem - X.Org Server 1.19.3, Wayland 1.12.0, Mesa 17.1.1; core - Linux kernel 4.11.3 (with BFQ as default I/O scheduler and UKSM enabled), systemd 233, LLVM/Clang 4.0.1, GCC 6.3.1, glibc 2.25...." Additional information and updated package versions can be found in the release notes. Download (MD5): OpenMandrivaLx.3.02-PLASMA.x86_64.iso (2,050MB, torrent, pkglist). Rate this project Kate Lebedeff has announced the release of OpenMandriva Lx 3.01, an updated build of the distribution's 3.0 branch, featuring the KDE Plasma desktop, which was originally released in August: "Not long after Lx 3.0 final release we are proud to announce OpenMandriva Lx 3.01. The 3.01 release brings a number of major fixes - updated software; new drivers and kernel with better support for newer hardware; many bug fixes; stable Plasma running on Wayland. OpenMandriva Lx is a cutting-edge distribution compiled with LVM/Clang. Combined with the high level of optimisation, it gives the desktop an unbelievably crisp response to operations on KDE Plasma 5 which makes it a pleasure to use. The latest release of all the KDE applications is there to support the desktop and help give you a consistent feel. Main features: KDE Plasma 5.8.4, KDE Frameworks 5.29.0, KDE Applications 16.08.3, Qt 5.6.2, Linux kernel 4.9 with BFQ as a default CPU scheduler, systemd 232..." Here is the full release announcement. Download (MD5): OpenMandrivaLx.3.01-PLASMA.x86_64.iso (2,018MB, torrent, pkglist). Rate this project Kate Lebedeff has announced the launch of OpenMandriva Lx 3.0. The new version features the Calamares system installer, improved boot times and has been compiled using the Clang/LLVM compiler. "OpenMandriva Lx is a cutting edge distribution compiled with LLVM/clang. Combined with the high level of optimization used for both code and linking (by enabling LTO) used in its building, this gives the OpenMandriva desktop an unbelievably crisp response to operations on the KDE Plasma 5 desktop which makes it a pleasure to use. The latest release of all the KDE apps is there to support the desktop and help give you a consistent feel. Main features: KDE Plasma 5.6.5, KDE Frameworks 5.24.0, KDE Applications 16.04.3, Linux kernel 4.6.5, systemd 231, X.Org Server 1.18.3, Mesa 12.0.1, F2FS support - a filesystem for SSDs." Additional information on the new OpenMandriva Lx 3.0 release can be found in the project's release announcement and in the release notes. Download (MD5): OpenMandrivaLx.3.0-PLASMA.x86_64.iso (1,891MB, torrent, pkglist). Rate this project Kate Lebedeff has announced the release of a new development snapshot for the OpenMandriva distribution. The new release candidate, OpenMandriva 3.0 RC1, introduces Chinese and Japanese translations, offers 32-bit (i586) support and fixes bugs in the GnuPG package. "Work for the RC1 has further improved stability and performance. We have now support for the Japanese and Chinese languages so we would really welcome any feedback from those who speak them. The RC1 brings a number of major fixes: i586 release now available; install with Calamares now functional so no longer necessary to install through live image; a longstanding GnuGP bug has been fixed. OpenMandriva is a cutting edge distribution compiled with LLVM/Clang. Combined with the high level of optimization used for both code and linking (by enabling LTO) used in its building, this gives the OpenMandriva desktop an unbelievably crisp response to operations on the KDE Plasma 5 desktop which makes it a pleasure to use." Further details can be found in the project's release announcement. Download (MD5): OpenMandrivaLx.3.0-RC1-PLASMA.x86_64.iso (1,863MB, torrent, pkglist). Rate this project The OpenMandriva project has announced the launch of a new development release. The new version, OpenMandriva Lx 3.0 beta 2, ships with Linux kernel 4.6.2, systemd 230 and is perhaps the only Linux distribution to feature packages built with the Clang compiler. 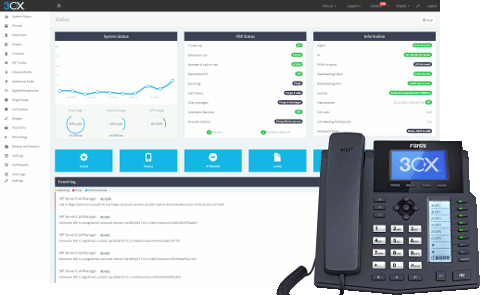 "This second beta has concentrated on improved stability and performance and now, for the first time, has accommodation for the Chinese and Japanese languages using fcitx to support their input methods. OpenMandriva is a cutting edge distribution compiled with LLVM/Clang. Combined with the high level of optimization used for both code and linking (by enabling LTO) used in its building, this gives the OpenMandriva desktop an unbelievably crisp response to operations on the KDE Plasma 5 desktop which makes it a pleasure to use. The latest release of all the KDE apps is there to support the desktop and help give you a consistent feel." Further details can be found in the project's release announcement and in the release notes. Download (MD5): OpenMandrivaLx.3.0-beta2.x86_64.iso (1,861MB, torrent, pkglist). Rate this project The OpenMandriva project has announced the availability of a new beta release for OpenMandriva Lx 3. The new testing release features KDE's Plasma 5.6 desktop running on Wayland. 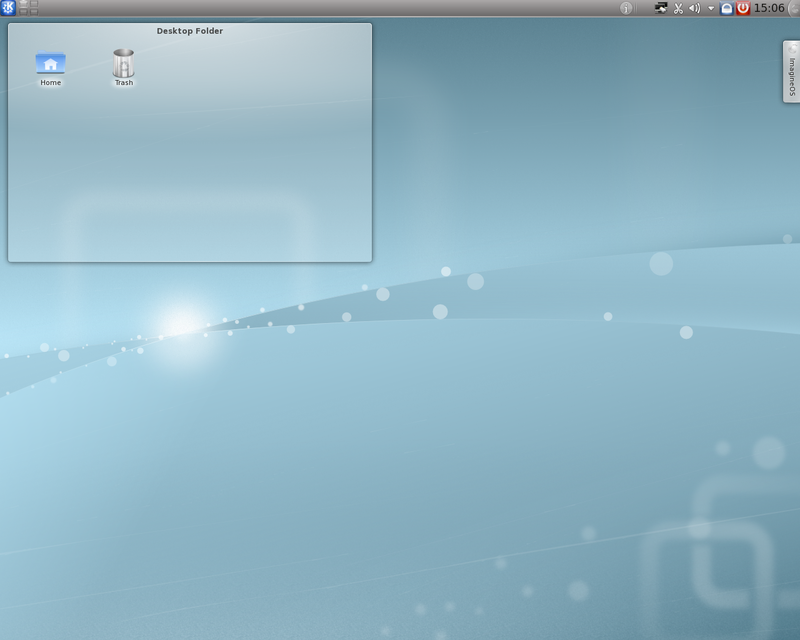 The distribution also offers the LXQt and Xfce desktop environments as lightweight alternatives. 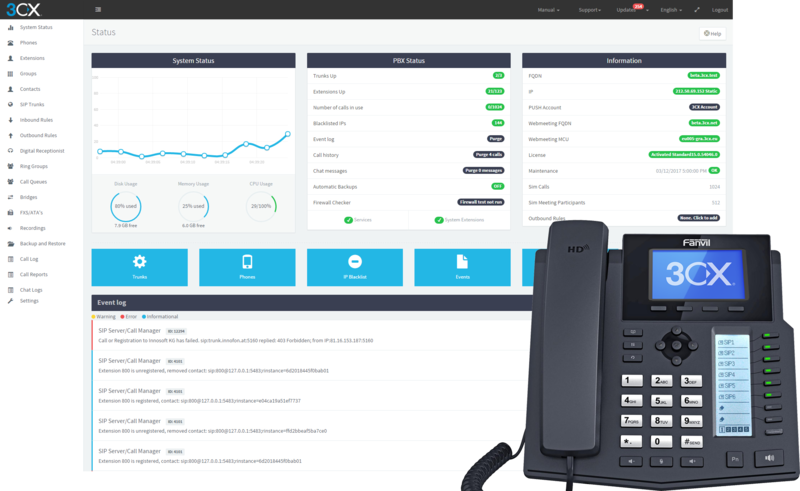 "This Beta 1 release is the culmination of over a year's effort and offers features that set it at the leading edge of software technology. The use of the Clang/llvm compiler to generate the majority of the code combined with Link Time Optimization (LTO) has created an operating system that is fast stable and efficient. The release features the latest KDE Plasma 5.6 based desktop along with full KF5 framework of apps which are supported by version 1.18.2 of the Xorg server and Mesa 11.2. KDE Plasma 5 now runs under the Wayland graphical server which offers smooth and fast graphical rendering. This configuration is experimental." Further information and screen shots can be found in the project's release announcement. Additional technical details can be found in the release notes. Download (MD5): OpenMandrivaLx_3beta1.x86_64.iso (1,652MB, pkglist). Rate this project The developers behind OpenMandriva have released a new version of their novice-friendly distribution. OpenMandriva originally started as a fork of Mandriva and continues on with similar goals and practices. The latest release, version 2014.2, ships with UEFI support and upgraded desktop, kernel and multimedia packages. "Just as any offering in the Mandrake spirit should be - it's even more stable and it has loads of new fun stuff! OpenMandriva Scion (2014.2) is a major update release of OpenMandriva Lx 2014.1. What's in and what's new? With this release you can boot the installer or live system from memory stick or DVD on any EFI or BIOS based machine. If you have one where it doesn't work tell us, we really want to know. The installer now offers full EFI support you can even choose which ESP partition you install to. What's more it offers the option to create a BIOS boot partition which means you can install OpenMandriva in BIOS mode on a GPT partitioned disk and you can do this independently of any EFI installs." Additional information is available in the project's release announcement and release notes. Download (MD5): OpenMandrivaLx-2014.2.x86_64.iso (1,753MB, pkglist). Rate this project The OpenMandriva community has announced the availability of OpenMandriva Lx 3 Alpha. The new release includes initial UEFI support, a shift to using Python 3 as the default Python interpreter and the distribution has made Clang the default compiler, replacing GNU's GCC. This release of OpenMandriva is the first to use small, sequential numbers to track versions as opposed to the old date-based versions. "This is an Alpha release! This means that while this release contains all the new and exciting improvements that we’ve had since 2014.1, it may have some glitches. We’re trying our best to fix them, but it’s not enough just for our QA team to test. Make sure you have a backup of your data, and do not install this in a production environment! We need your help to test all the little quirks which happen with different hardware! Please download and test the release, and report any bugs you see to our development team so that we can get started on fixing them." Details on the Alpha release, along with screen shots, can be found in the project's release announcement. Downloads (MD5): OpenMandrivaLx.2015.0-alpha.20150423-LXQt.x86_64.iso (1,211MB, torrent, pkglist). Rate this project Kate Lebedeff has announced the availability of the first development build of the upcoming OpenMandriva Lx 3. This release marks a change in the distribution versioning from year-based to sequential numbers. From the release announcement: "Pre-alpha OpenMandriva Lx 3 is here. Why pre-alpha? Because we are eager to deliver the freshest and hottest, with your help this new release can start shining brighter even sooner. Have fun, report bugs, enjoy! What is in? The Welcome to OpenMandriva Lx screen has been updated to reflect the new version. This application introduces users to OpenMandriva Lx and shows them some of the features we have, as well as provides quick links to common tasks, such as updating, installing new software, and configuring a desktop. We've upgraded X.Org Server to version 1.16.3 and MESA to 10.4.2 which bring the latest free drivers for the best performance. A Compose cache is now incorporated, it speeds up application star-tup time and reduces memory usage." See also the release notes for technical details. Download (MD5): OpenMandrivaLx.2015.0-alpha.20150128-LXQt.x86_64.iso (1,175MB, pkglist). Rate this project João Patrício has announced the release of OpenMandriva Lx 2014.1, an updated version of the project's desktop Linux distribution that features a customised and intuitive KDE desktop: "OpenMandriva is proud to announce the release of OpenMandriva Lx 2014.1, that fixes lots of bugs and improves the overall performance of the distro. We would like to thank everybody that helped us make this possible - testers, bug submitters, developers and the community. Inside you can find: Linux kernel 3.15.10 with a new nrjQL patchset, KDE 4.13.3, Firefox 32.0.3, X.Org Server 1.15.2, MESA 10.2.6; an updated Bash with the latest security fixes; many updates for drivers and other software. Most of our effort focused on system boot up time, which is around 17 seconds now (and if you have an SSD that comes to about 12 seconds) and also to reduce memory footprint significantly." See the release announcement and release notes for further information. Download (MD5): OpenMandrivaLx.2014.1-kde4.x86_64.iso (1,582MB, pkglist). Rate this project Kate Lebedeff has announced the availability of OpenMandriva Lx 2014.0, the latest stable release of a distribution that features a highly customised and intuitive KDE desktop: "All of us in the OpenMandriva community are pleased to announce the release of OpenMandriva Lx 2014.0 'Phosphorus'." What's new in this version? "Functional UEFI support; easy and intuitive install process; a powerful variant of the 3.13.11 kernel that has been configured with desktop system performance and responsiveness in mind; a new welcome application which allows quick and easy set up of the newly installed system; LibreOffice 4.2.3; updated X.Org Server 1.15.1 and Mesa 10.1.0; new themes for the desktop, GRUB, Plymouth, KSplash and KDE; KDE 4.12.4 with a new menu launcher...." Read the release announcement and release notes for a complete list of new features. Download: OpenMandrivaLx-2014.0.x86_64.iso (1,531MB, MD5). Rate this project Kate Lebedeff has announced the availability of the first release candidate of OpenMandriva Lx 2014.0: "Phosphorous burns very hot and very fast and is the perfect name for our latest RC1 release of OpenMandriva Lx. This release candidate has been optimised for boot speed and you will find our latest kernel release that will ensure that you will be able to interact seamlessly with the new KDE 4.12.4 that has been included. The new kernel has the very latest scheduler as well as featuring UKSM to which one of our team have been contributing packages. UKSM is a kernel memory management tool which aims to reduce duplicate data in system memory and as a result increase the kernel responsiveness. Of particular note are some patches that partially correct a misinterpretation of the USB standard." Read the full release announcement for a detailed description of new features and screenshots. Download (MD5): OpenMandriva.2014.0-RC1-kde4.x86_64.iso (1,512MB). Rate this project Kate Lebedeff has announced the availability of OpenMandriva Lx 2014.0 Beta (codename "Phosphorus"), which according to the release plan is the only beta version before the release candidate: "OpenMandriva Lx 2014.0 Beta is here! First of all, we want to thank our devoted testers and bughunters - without their support we would not have been able to accomplish this release. Great thanks and we are very much looking forward to the final result of our common work on this shiny release. So what has changed since the second 2014.0 alpha? We've been mainly focusing on fixing the most crucial bugs for this release. That includes fixing some of the booting issues that people have been having, as well as updating some of the software. Some of the updates from our contributors include: Assorted bug fixes; mariadb updated to 10.0.9; lots of effort has gone into getting LibreOffice 4.2.3 to work properly, but this will likely be in the rc release only; php packaging cleaned up so the different versions (cgi/fcgi/apache module) are always in sync - updated to 5.5.10...." Find more in the full release announcement and the release notes. Download link: OpenMandrivaLx-2014.0-beta1.x86_64.iso (1,510MB). Rate this project Kate Lebedeff has announced the availability of the second alpha release of OpenMandriva Lx 2014.0: "OpenMandriva Lx 2014 alpha 2 is here. To keep up to high standards we have decided to move the beta to the RC1 date and have the alpha 2 today, to deliver more fun to you. This change does not affect the final release date. OpenMandriva Lx 2014.0 has been improving with every iteration – we've tried to make sure that your system works in a stable yet powerful manner. The kernel has been upgraded to 3.12.13 nrjQL – a powerful variant of the 3.12.13 kernel. The CPU and RCU have been configured with full pre-emption and boost mode, while we've also added the CK1 and BFQ patchsets to provide optimisations (including a better CPU load scheduler, better disk I/O scheduler, a better memory manager via UKSM, and TuxOnIce for better suspension and hibernation), designed with desktop system performance and responsiveness in mind." Read the detailed release announcement for more information and screenshots. Download link: OpenMandriva.alpha.20140228.x86_64.iso (1,490MB, MD5). Rate this project Kate Lebedeff has announced the availability of the first alpha release of OpenMandriva Lx 2014.0: "Exactly according to our release plan we offer you today OpenMandriva Lx 2014 alpha. Fresh and fun, it is ready for bug hunting and reports. What is in? Linux kernel 3.1. [3-5] with special nrjQL flavour; armv7hl with Razor-qt; systemd 208 with all kind of 'safe' updates from upstream; a stable and working out-of-box dracut version close to 035 release; update initscripts to 9.50 to improve compatibility with systemd; updated X.Org Server to 1.15.x and Mesa to 10.x. to provide best graphics experience with free drivers; fresh artwork; re-created Java stack based on Fedora's; brand-new KDE 4.12.1; updated to LibreOffice 4.2; reliable working UEFI support...." Read the full release announcement for further details and a screenshot. Download: OpenMandrivaLx-2014.0-alpha1.x86_64.iso (1,565MB, MD5). Rate this project After many months of development the inaugural release of OpenMandriva Lx is out: "The OpenMandriva community is proud to announce our first release, OpenMandriva Lx 2013.0. The introduction of OpenMandriva 2013.0 represents a major update from the previous version of Mandriva. This is the first release under the new name, OpenMandriva Lx, and is also the first release under the community of the OpenMandriva Association. With that in mind, here are some of the new features: OpenMandriva Lx features new kernel called NRJ as for energy; KDE 4.11.2 provides a clean, unified desktop for OpenMandriva; this release provides a KDE 4.11 installation featuring ROSA's SimpleWelcome launcher, a winner of the latest contest...." For more information please read the release announcement and check out the release notes. Download the installable live DVD image from here: OpenMandrivaLx-2013.0.x86_64.iso (1,551MB, MD5). Rate this project The second and final release candidate for the inaugural stable release of OpenMandriva Lx is now available for download and testing: "And here it comes - a week after RC1, OpenMandriva 2013.0 Lx RC2 is out on schedule. It's been mostly bug fixing and polishing at this stage. Nothing much different from RC1. You'll notice, though, that we've only got one launcher for RC2, KickOff. If you want SimpleWelcome, you can install rosa-launcher, if you want Homerun, you can install homerun and if you want Lancelot, you can install plasma-applet-lancelot. In RC2 we completed the artwork integration. It includes fixing of the plymouth theme, updated GRUB, ksplash, user avatars, and got a brand new screensaver. Additionally, following the results of 'The Flavour of Freedom' wallpaper contest, we've included the winners of the contest into 2013.0. In RC2 you'll find: Linux kernel 3.11.6, KDE 4.11, Firefox 25.0, LibreOffice 4.1.3." Read the rest of the release announcement for more information and screenshots. Download: OpenMandrivaLx-2013.0-rc2.x86_64.iso (1,522MB, MD5). Rate this project Kate Lebedeff has announced the availability of the first release candidate for OpenMandriva Lx 2013.0, a desktop Linux distribution featuring a customised KDE 4.11: "The OpenMandriva Association is glad to announce the release of OpenMandriva Lx 2013.0 RC1. RC1 brings many bug fixes since our beta release. The kernel version has been updated to 3.11.6, with several new patches focused on performance (such as BFS, BFQ, and UKSM). We've also provided up-to-date and stable user-space libraries and drivers with high hardware compatibility. RC1 uses KDE 4.11.2 as our desktop and it still provides four launchers (Kickoff, SimpleWelcome, Lancelot, and Homerun) so that users can evaluate the best launcher for their needs and tell us which one they'd like to see as default which will be chosen in time for RC2. RC1 also includes the OpenMandriva Management Control Centre." Here is the full release announcement with screenshots. Download (MD5): OpenMandrivaLx-2013.0-rc1.x86_64.iso (1,525MB). Rate this project Anurag Bhandari has announced the availability of the first beta release of OpenMandriva Lx 2013.0, an inaugural release of the project's community-built, desktop-oriented Linux distribution: "After months of bug fixing and stabilizing the alpha, we are happy to announce the availability of OpenMandriva Lx's first ever beta. We've put a lot of work into stabilizing the package base and building a solid base for future versions. After this release, work on the new ideas we've been collecting can start - people interested in following the development may want to watch 'Cooker'. OpenMandriva Lx beta comes with KDE 4.11, with a focus on a clean and unified desktop. This release comes with a set of four launchers -- Lancelot, KickOff, SimpleWelcome and Homerun -- for you to try and give feedback. Eventually we'll settle for just one, the winner based on your feedback." Read the rest of the release announcement and release notes for more information. Download from here: OpenMandrivaLx-2013.0-beta.x86_64.iso (1,491MB, MD5, torrent). 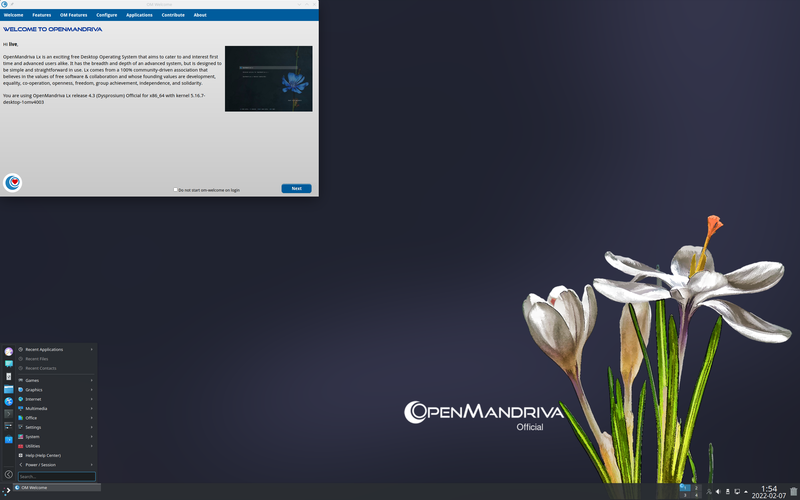 Rate this project João Patrício has announced the availability of the first public alpha build of OpenMandriva 2013.0, a Linux distribution that has its roots in Mandriva Linux, but is now developed by the OpenMandriva Association. This release is based on ROSA, a Russian Linux distribution project that forked Mandriva Linux in 2012. From the announcement: "A new version of OpenMandriva LX is ready for bug hunting. There is still a lot of work to do, some already identified bugs to fix and artwork to implement. Let us know if you find any bugs and help us get rid of them. You can communicate with the QA team and log bugs here. We expect to have a beta release ready for you by 30th of July, so let's begin the hunt. OpenMandriva LX alpha features: Linux kernel 3.8.12, KDE 4.10.4, LibreOffice 4.0.3, Firefox 21.0, Clementine 1.1.1, ROMP 1.6-1." Here is the full release announcement with screenshots. Download the live DVD image from here: OpenMandriva.alpha.20130612.x86_64.iso (1,122MB, MD5).